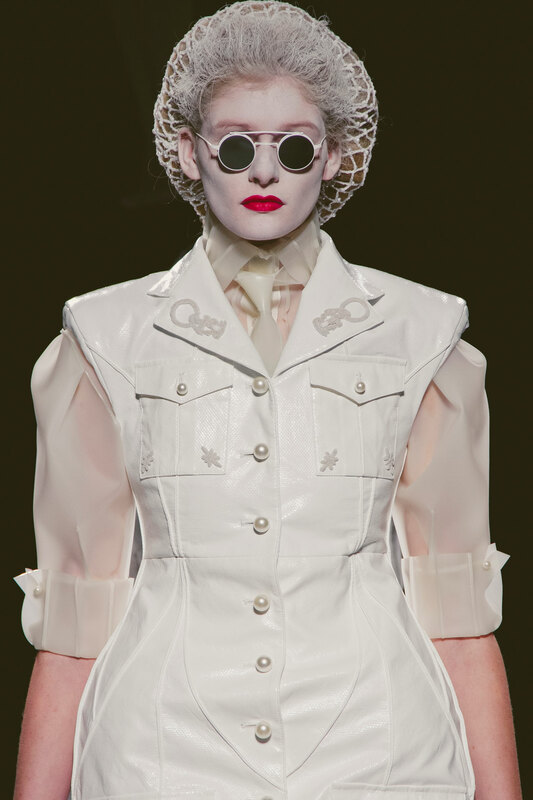 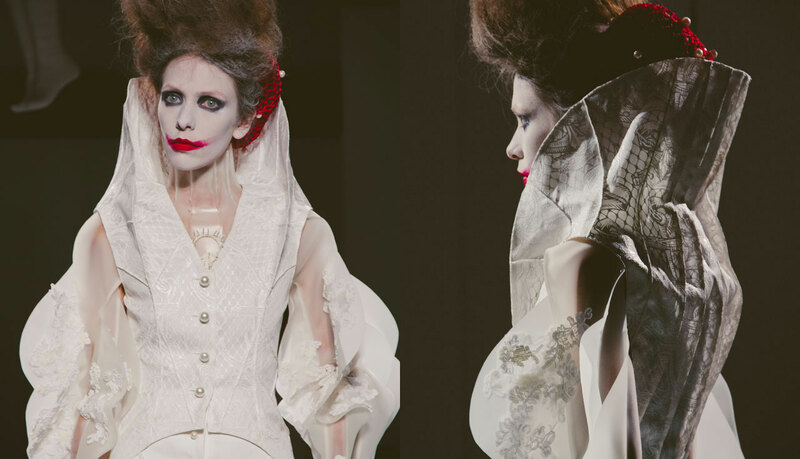 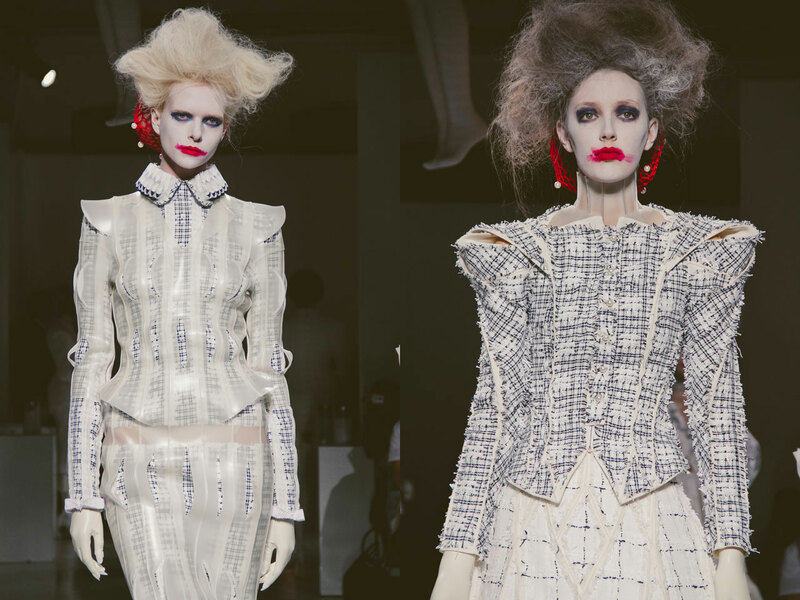 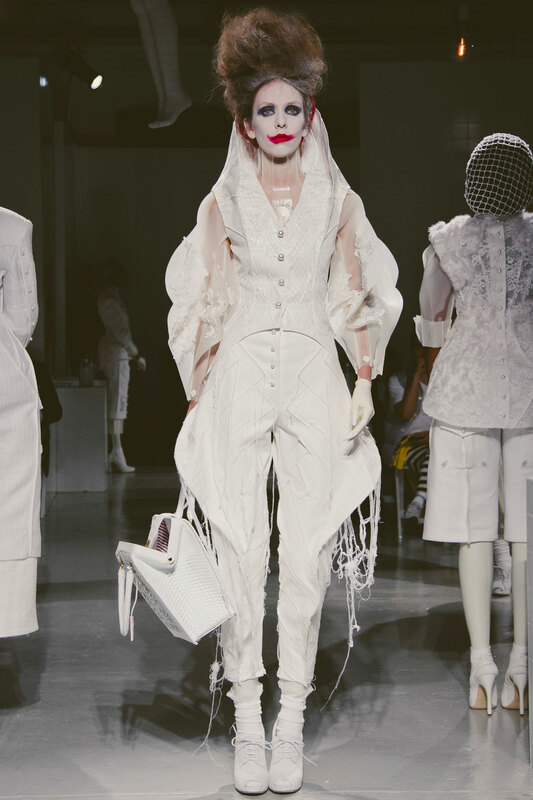 “Why so serious?” The principal catchphrase of Heath Ledger’s villain in the blockbuster, The Dark Knight rises and the idea at the heart of Thom Browne’s taut Joker inspired collection for spring. 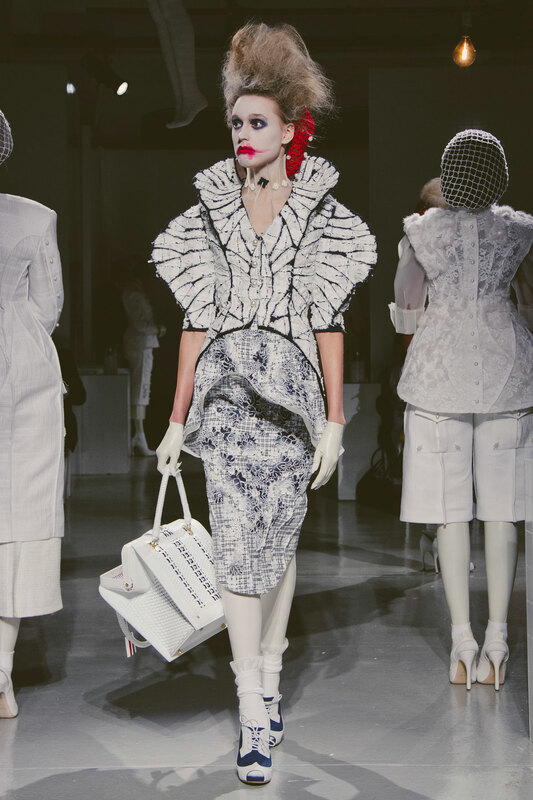 New York is often accused of lacking in the drama department, not behind the scenes drama (don’t worry there’s still plenty of that) but the on the catwalk excitement that makes fashion magical. 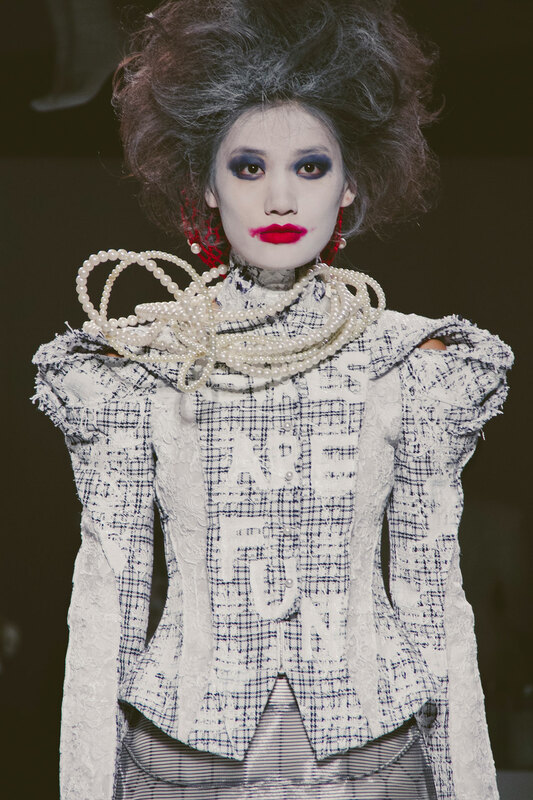 Browne’s showing provided plenty of visual oomph with its kabuki makeup and innate theatricality, but its true power lies in the designer’s understanding of the spectacle. 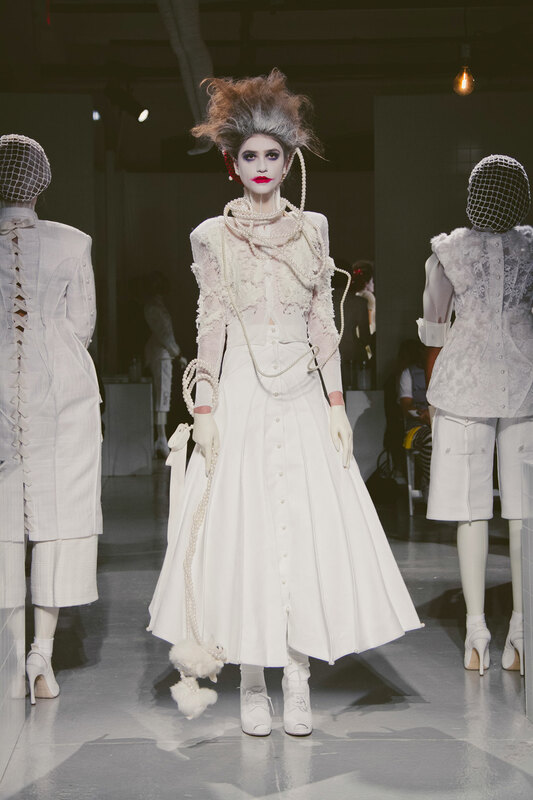 Even with his gory inspiration points and seriousness that comes with being at the helm of one of the week’s most anticipated shows, Browne gave the crowd a dazzling and energetic break from reality, the kind of show that is as much about the clothes as it is about the experience. 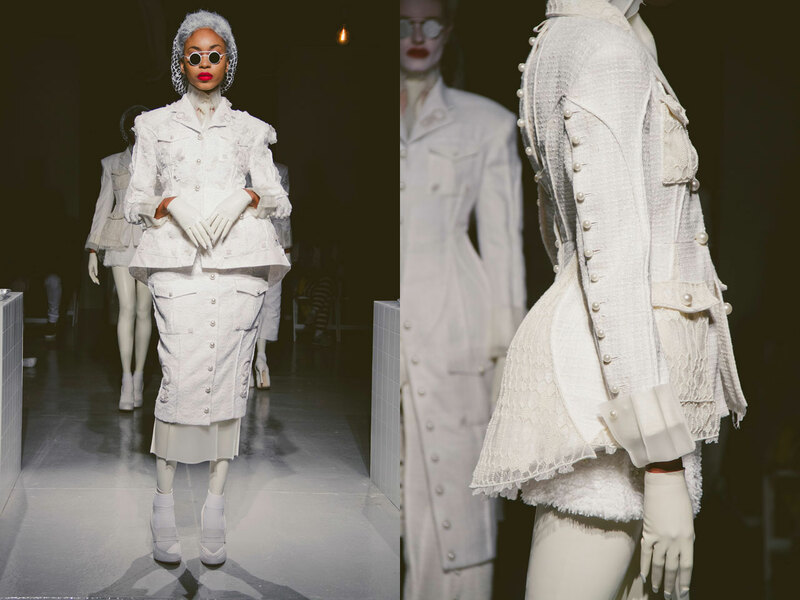 Inside the padded cell walls of his venue (never let it be said that Thom Browne does a theme by halves) there was plenty to take in. 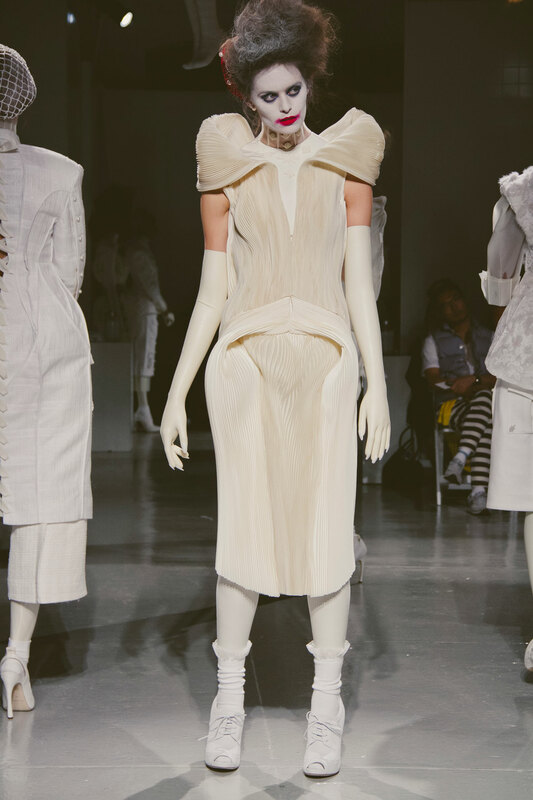 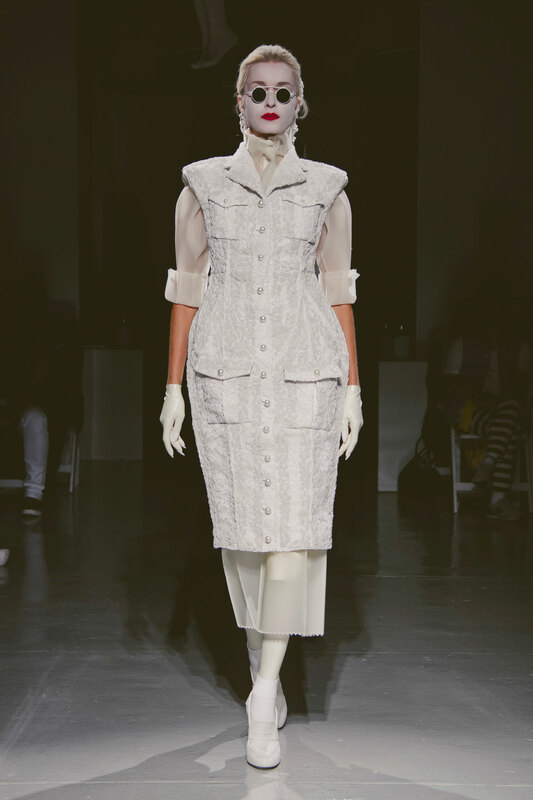 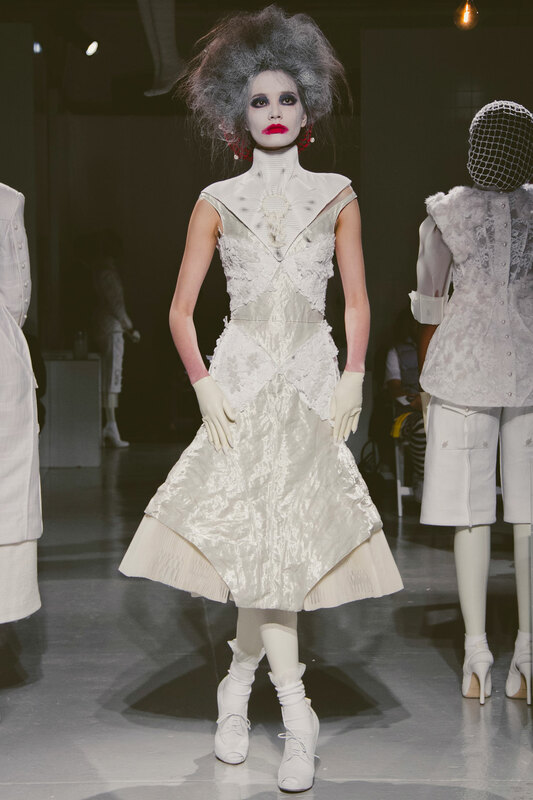 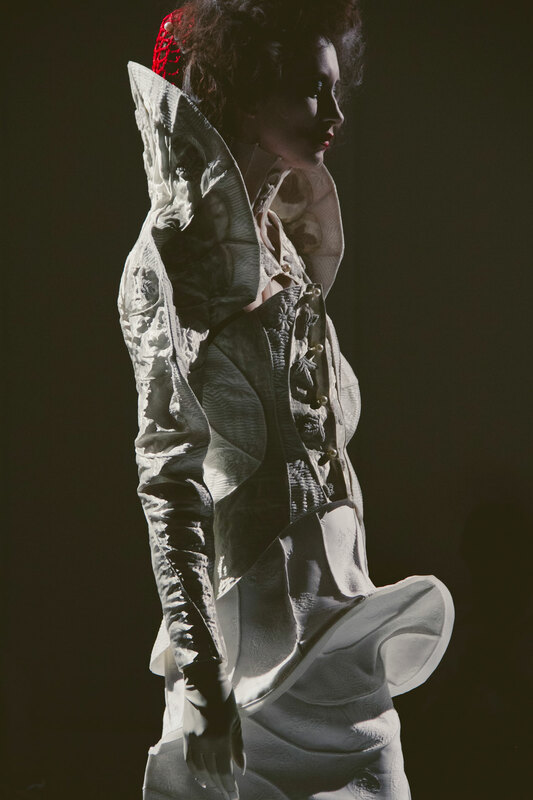 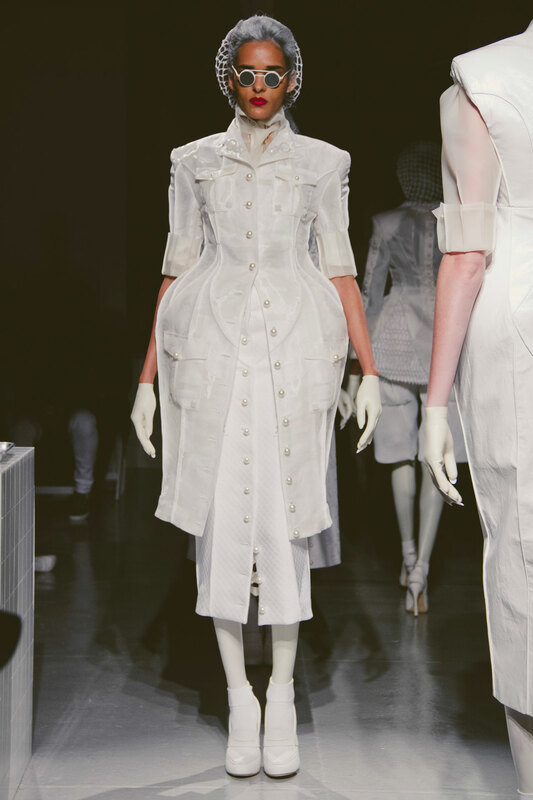 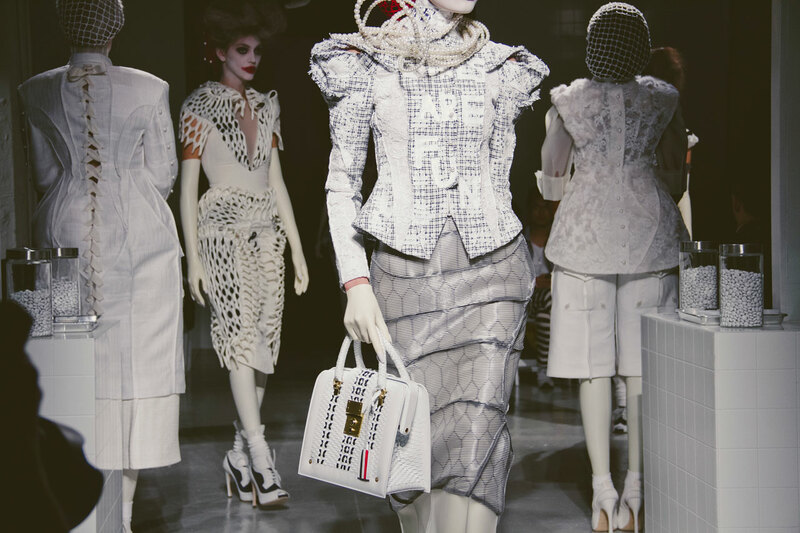 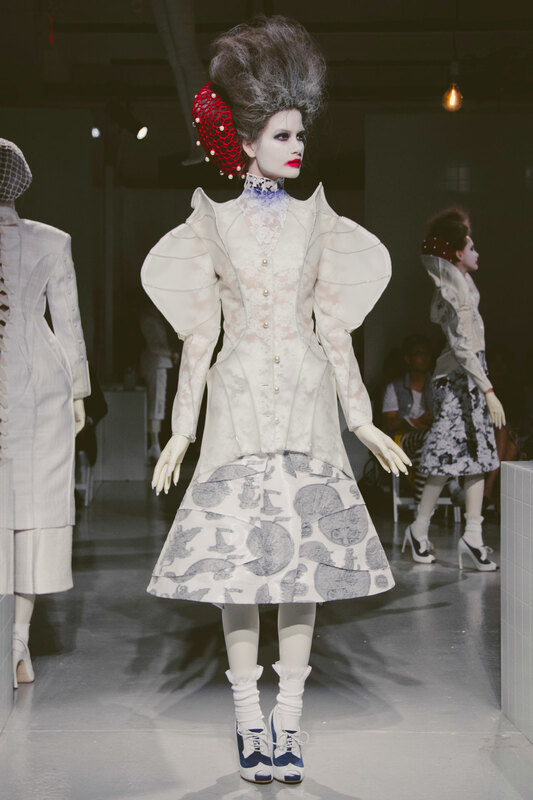 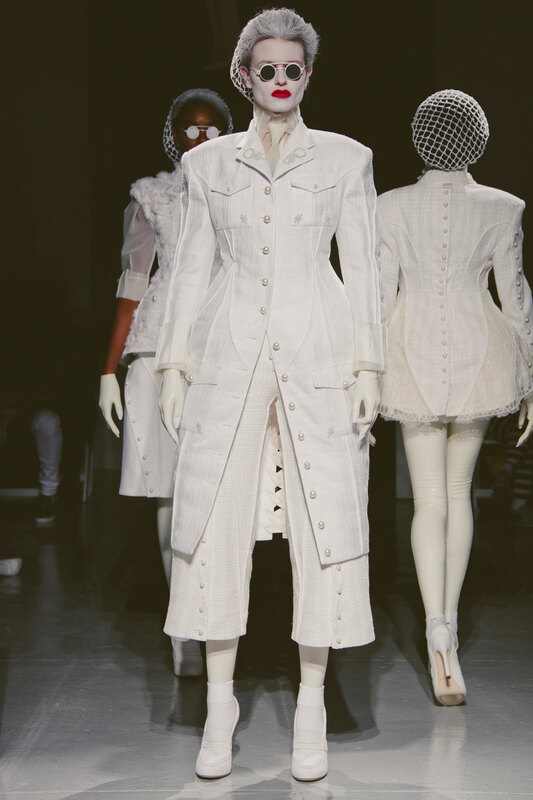 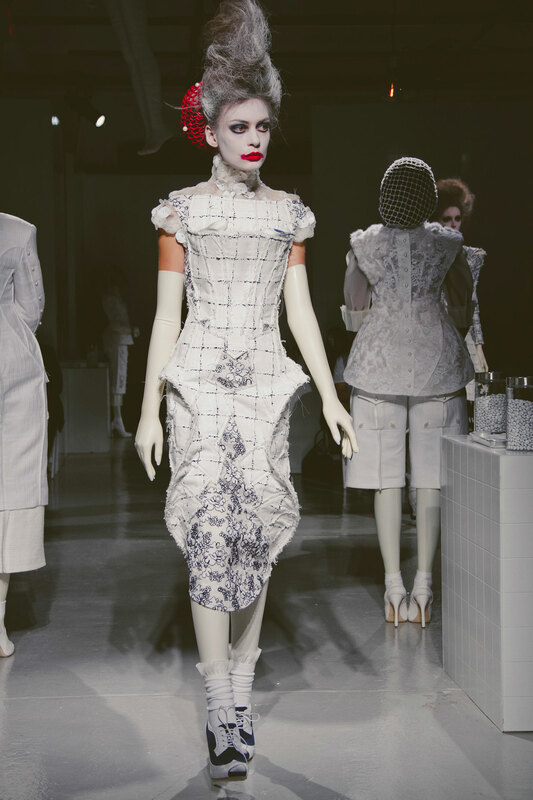 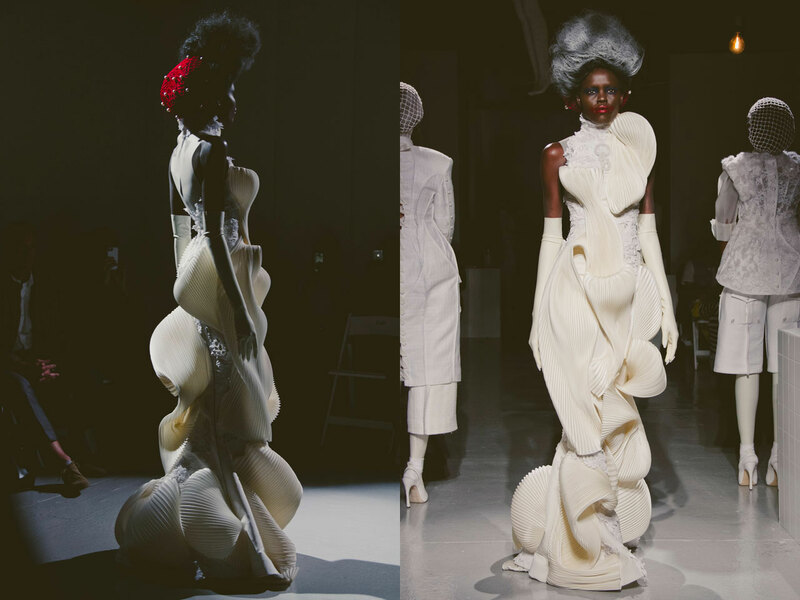 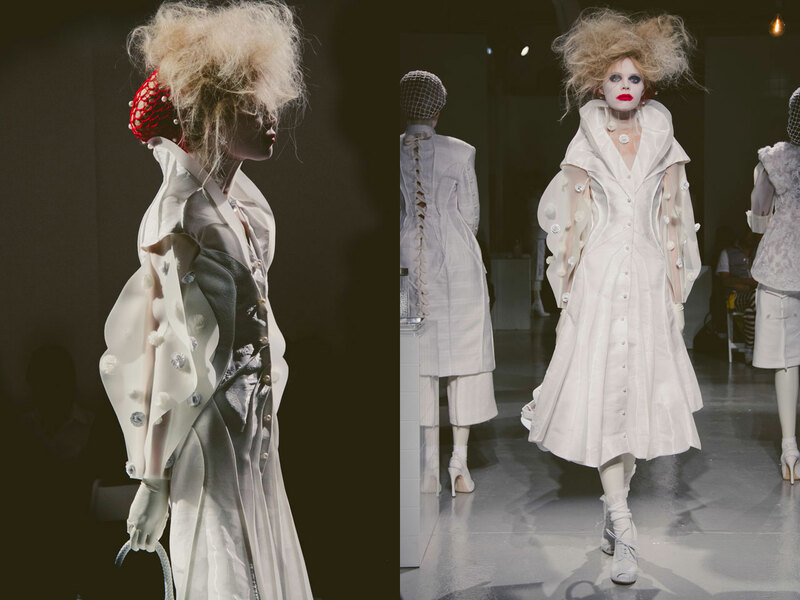 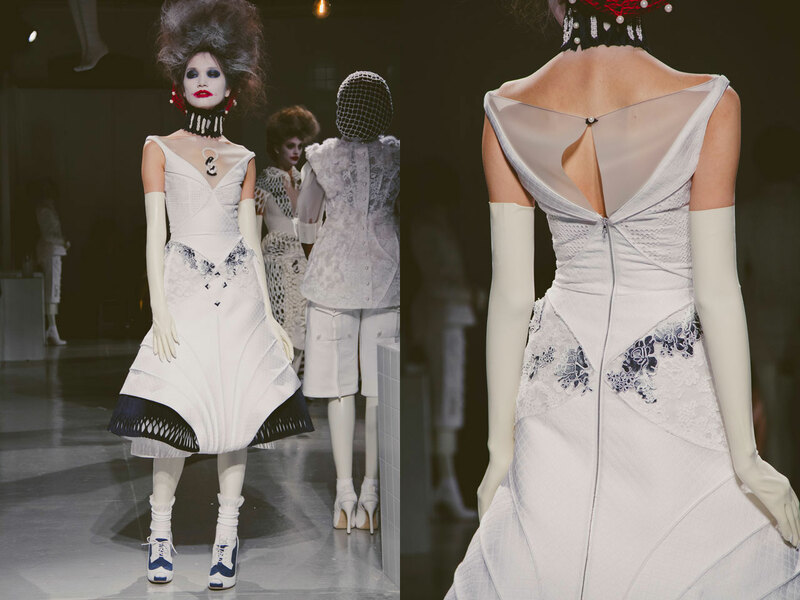 Working with his signature plays on proportion, and an all white palette Browne crafted a series of luxurious, Elizabethan leaning pieces that formed an eccentric uniform. 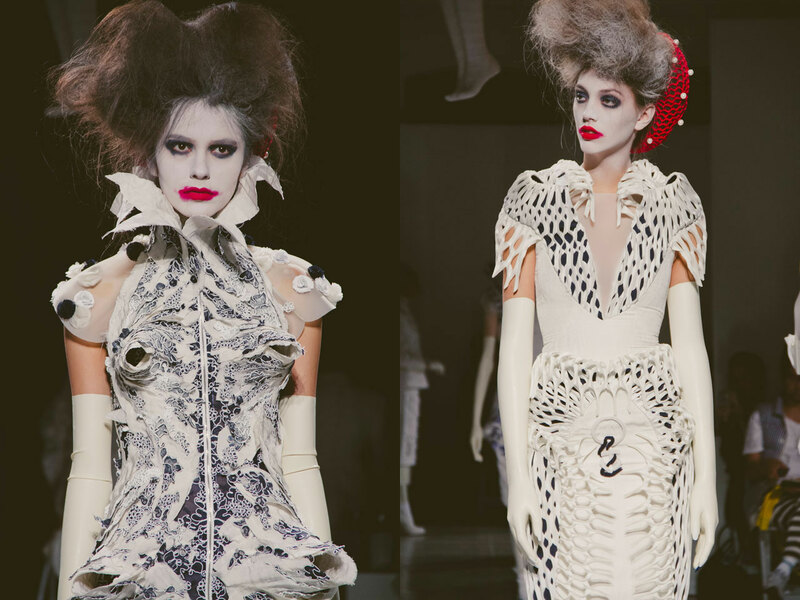 The names Westwood and McQueen weren’t far from everyone’s minds, but Browne put his own stamp on the quirky couture landscape. 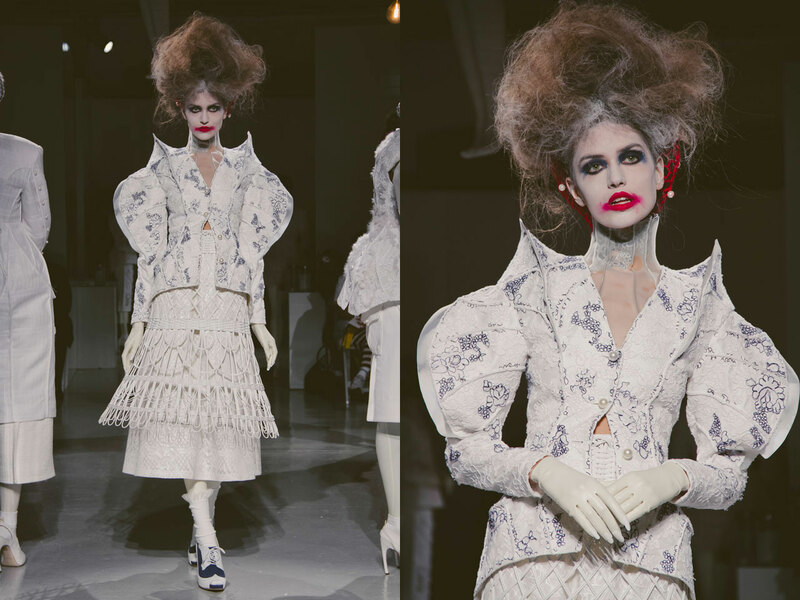 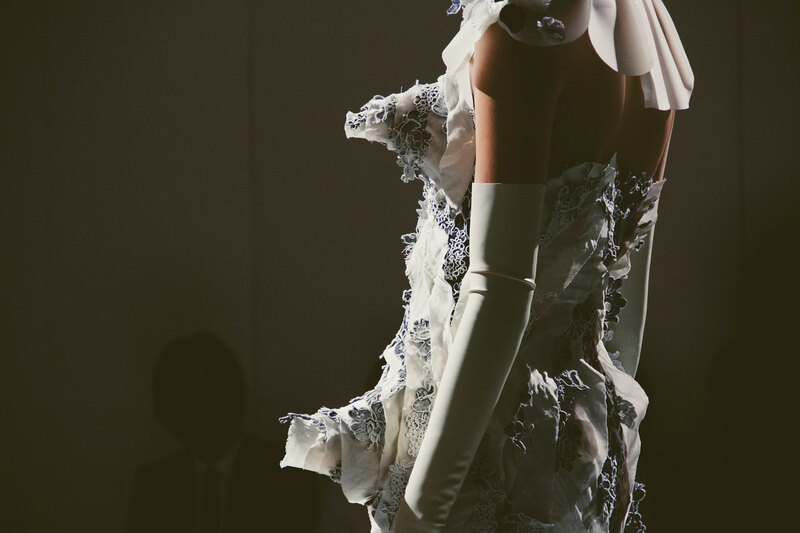 This was a collection filled with flights of fantasy; an overabundance of lace, ruffs worthy of a queen, enough lace detailing for a bridal show. 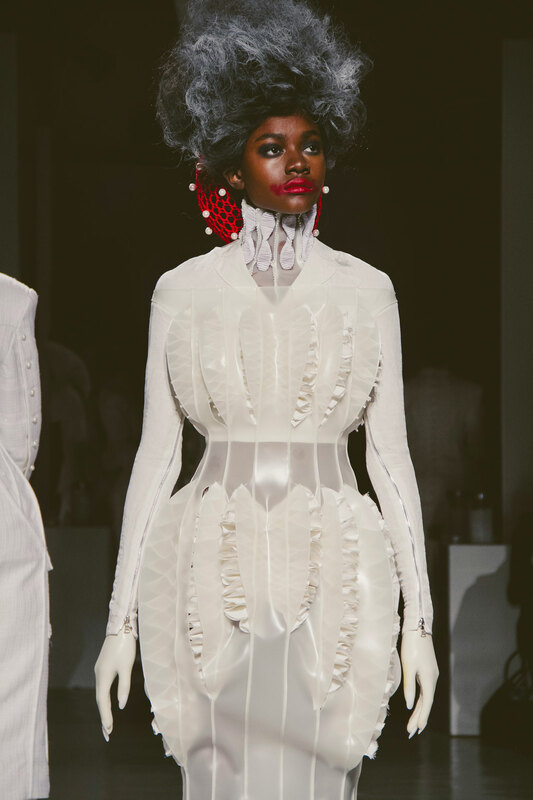 Add to this the bustles, the peplums, rubber corsetry and the sculpted accents and you have a wealth of statement making details, some of which were reductive, but you couldn’t help but get swept up in Browne’s fantasy. 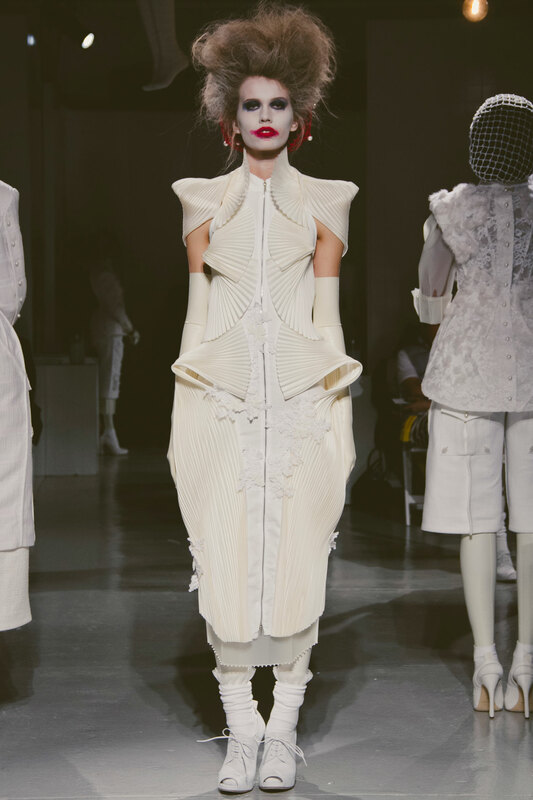 This is just unbelievably great collection. 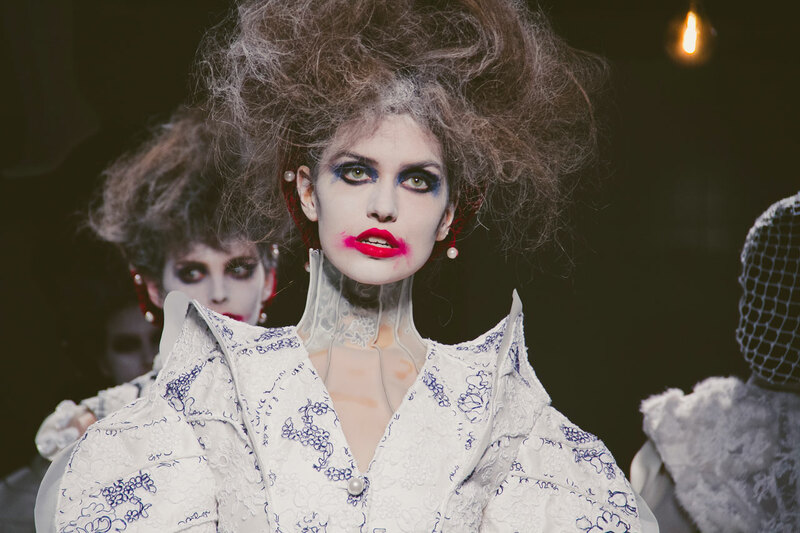 Im surprised nobody mentions the amazing hair and make-up job..
And just when I think they have already made these lovely models as ugly as possible, out comes this Nightmare before Christmas. 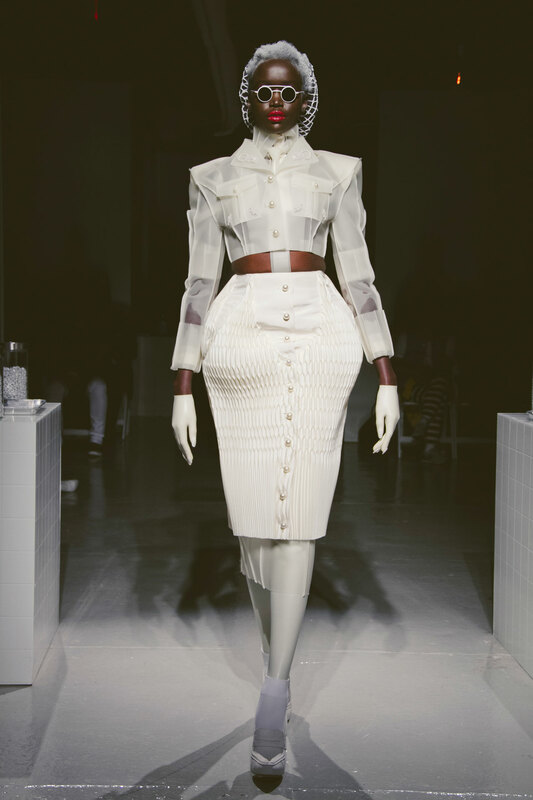 That being said, the pieces are absolutely amazing. 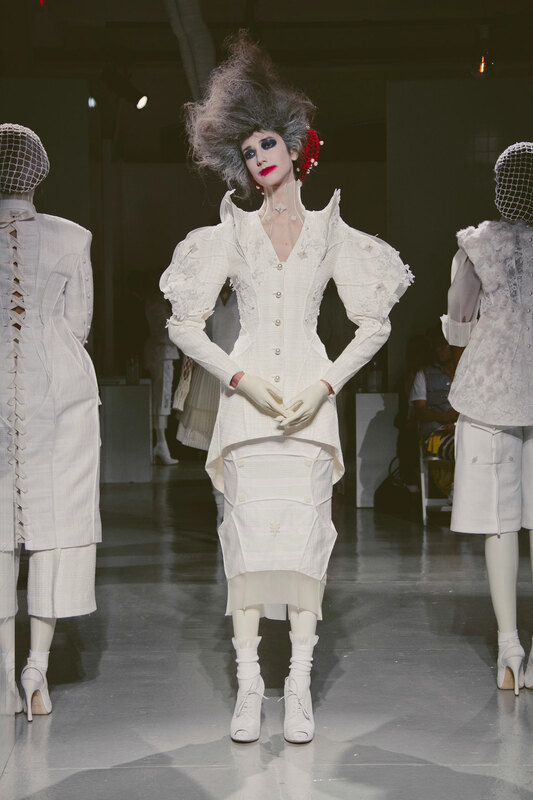 Please kill the decapitated corpse heads undermining the genius next time. 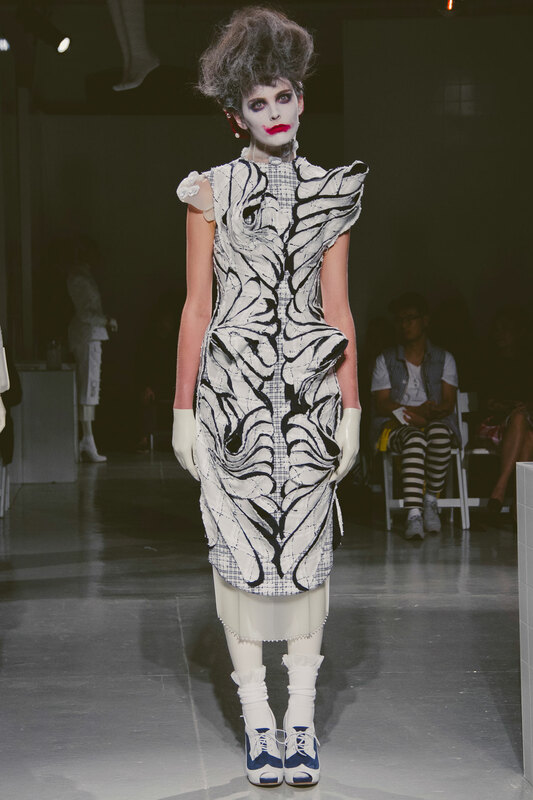 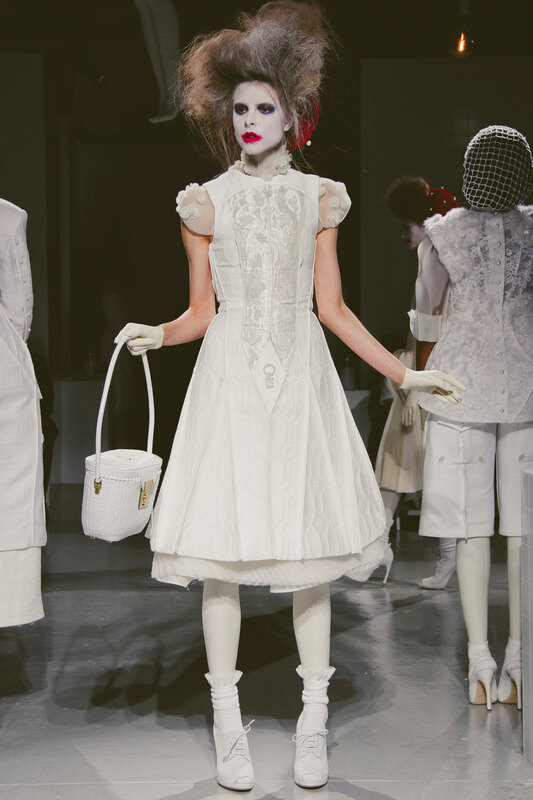 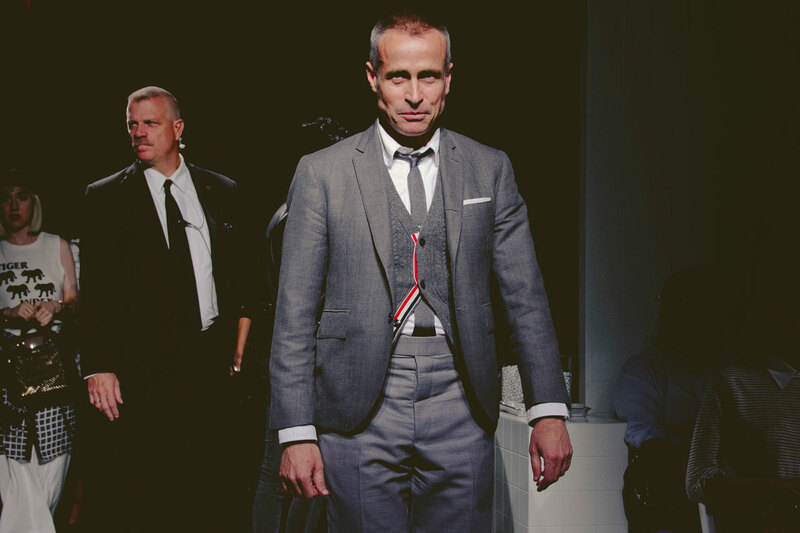 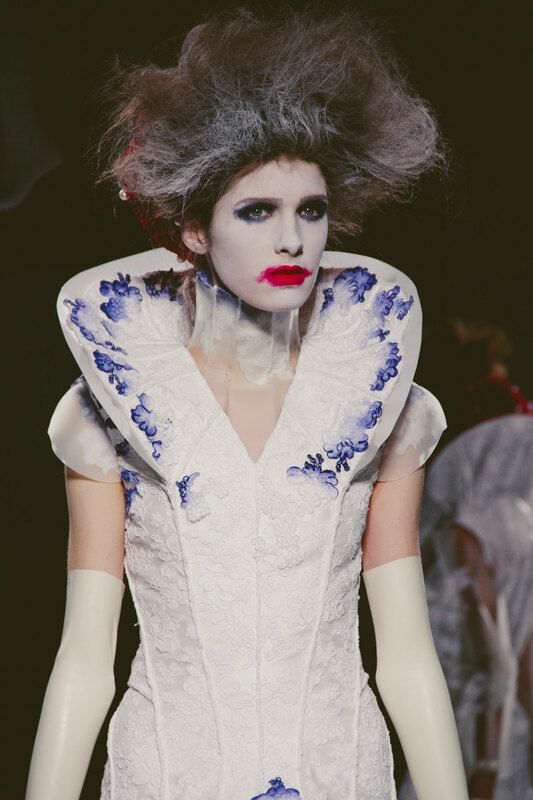 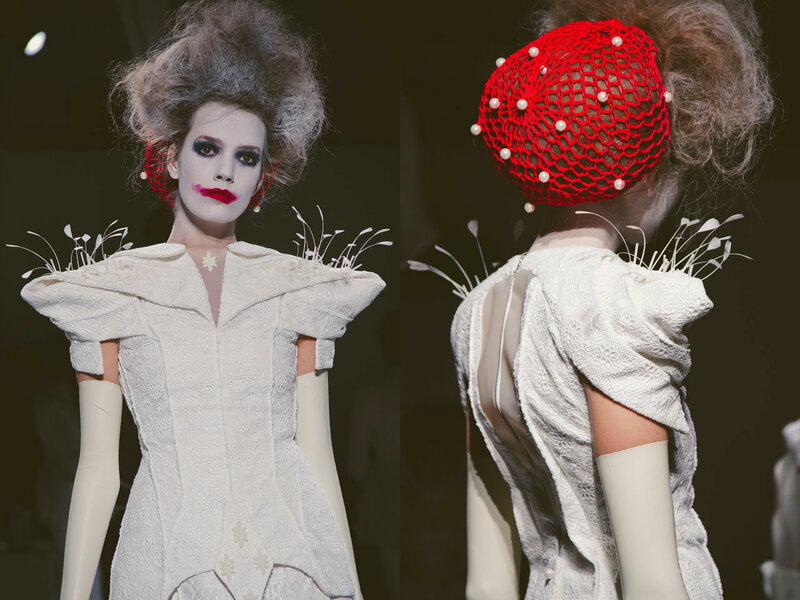 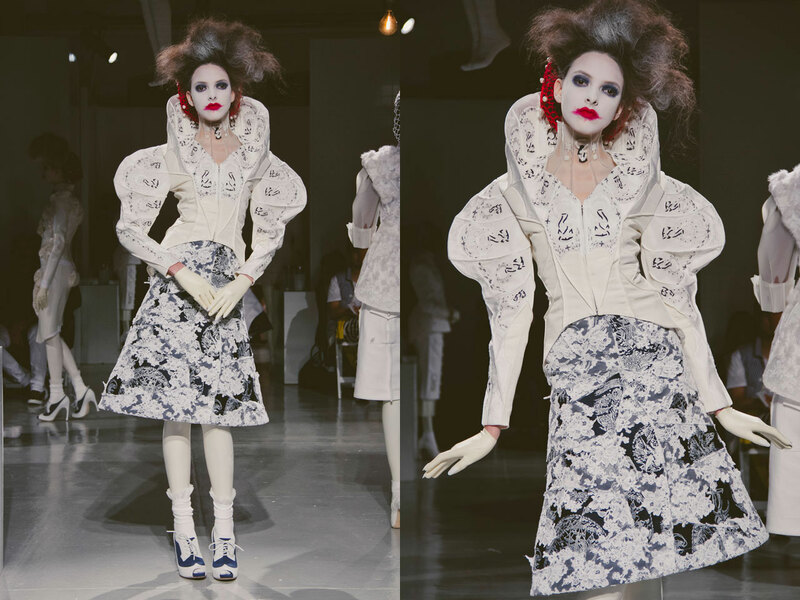 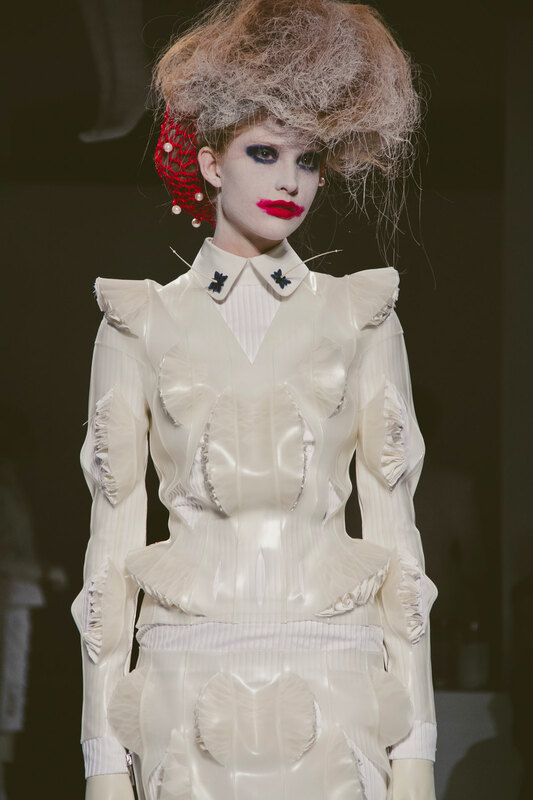 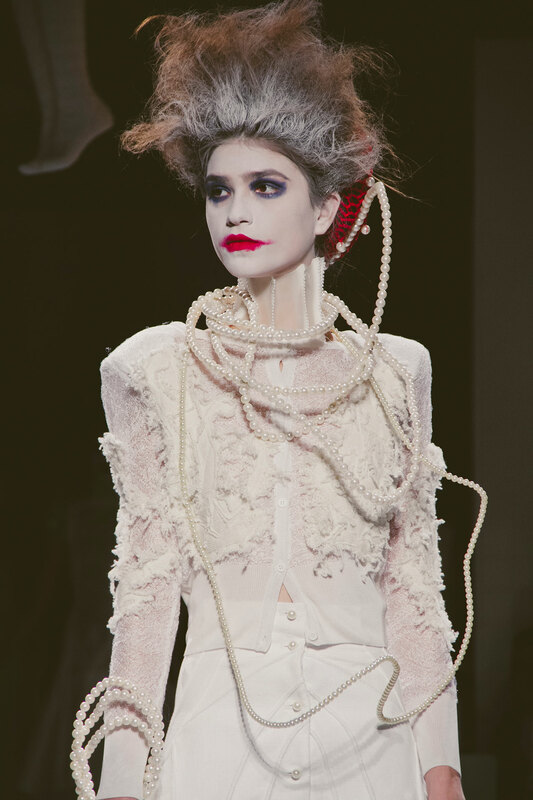 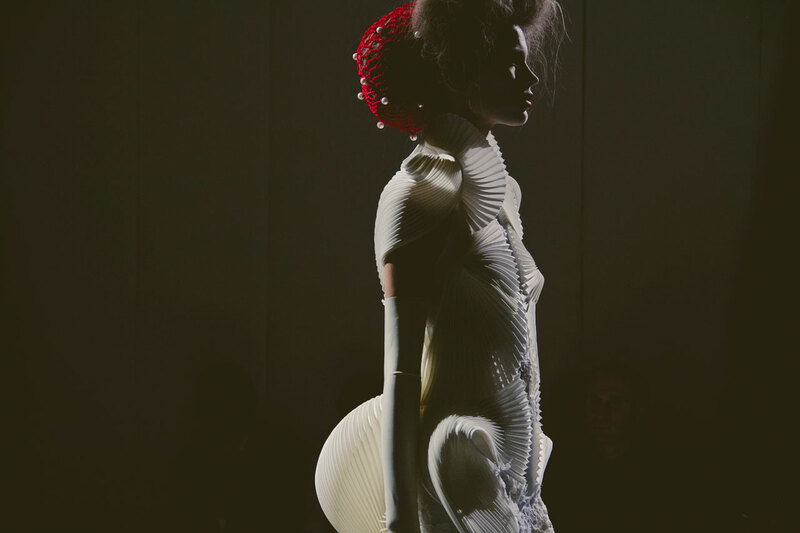 The joker was on you, Thom Browne.